Take your cat in travel! 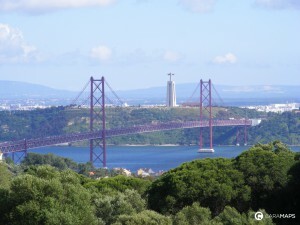 Portugal: the perfect destination by motorhome ! But, you are gonna to tell me why travel to Portugal by motorhome ? Its nice climate, its kilometers of beaches, its historical heritage, its typical gastronomy… and so on, many diverses reasons to travel to Portugal by motorhome. With a Mediterranean climate, in Portugal, summers are hot and dry and winters more milds. The good weather makes motorhome rides more easier and promises you many outdoor activities (golf, walking, …). With its beautiful sandy beaches (such as the Algarve), Portugal is a rich land where marine species (whales, seals, dolphins, ..) are living including the Azores for whale watching. You can also enjoy many water activities such as surfing or fishing. Besides visiting the Lisbon Ocearium that you absolutely must not miss during your trip to Portugal by motorhome, uptown and the Castle of St. George are also essential. 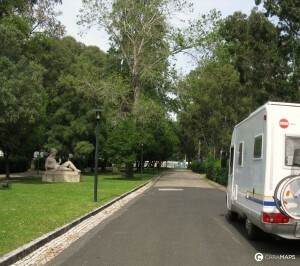 It is necessary to go through Oporto, a charming area, perfect for a romantic trip while traveling to Portugal by motorhome. And finally, a quick break in Sintra (30 km from Lisbon) to contemplate the magnificent palace of Quinta da Regaleira. Your trip to Portugal by motorhome is also a unique dining experience. Portuguese cuisine is full of flavor and is characterized by a wide variety of spices (chili pepper, peppers, cinnamon,…). Due to its geographical location, the seafood is very popular in Portugal. During your trip to Portugal by motorhome, you must taste the typical dishes such as « Francesinha » (kind of ham and cheese sandwich), the « Caldeirada of Piexe » (stewed fish), « pastel de Belém » or « pastel de nata » and many other recipes including fish and cod. Camping-car sous la neige ! If your looking for a very nice, but expensive, campervan near Faro, Caravans2rent.com have some nearly new ones. as Carlos the owner is deducting E.400.00 for a mirror casing that sells for E.8.00! Of course I am disputing this. Oh, and do check the radio, also the wi-fi, which needs the engine to be switched on to work!